DVM has recently taken on an Accountancy Apprentice in order to help with the expanding business within our bookkeeping team as well as to provide administrative support and reception cover. Apprentices are aged 16 or over and combine working with studying for a work-based qualification, with their training partly or fully funded by t he government. We are pleased to announce that our successful candidate has now started her full time position with us, and would like to introduce Emily Ashley. 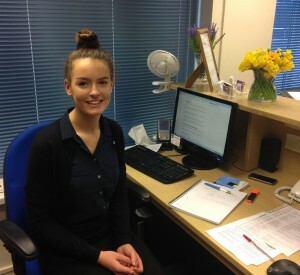 Emily will be studying towards her AAT qualification alongside her work here at DVM. She is proving to be eager and quick to learn, and an asset to the team. Please do say hello when you next pop in to the office!